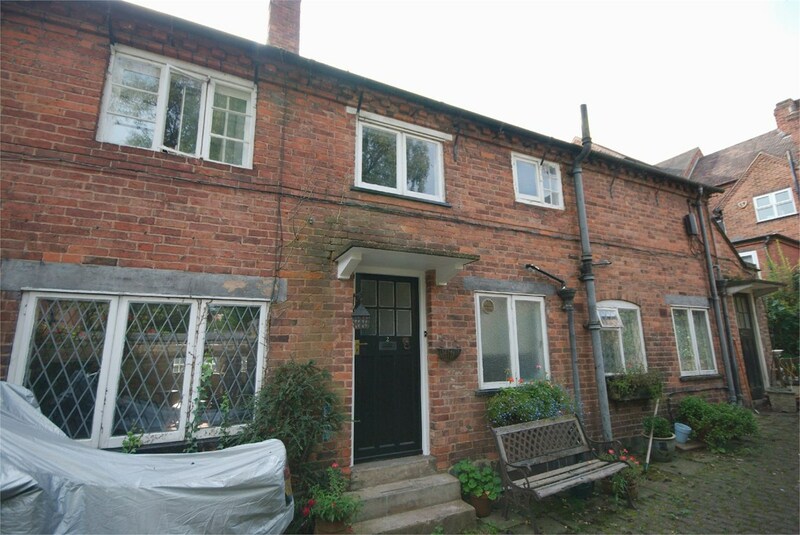 A delightful THREE bedroom Mid terrace house in this favoured position within 500 metres of Sutton Coldfield Railway Station, the 2400 acre Sutton Park, Gracechurch Shopping Centre and Wyndley Leisure Centre and being ideally located for excellent schools and Sutton Coldfield College. Ideal first time buy, investment, or downsizing property. The property has three good sized bedrooms and family bathroom, lounge/dining room, modern fitted kitchen and Garage in separate block. The property is approached via communal gardens and paved pathway leading to frosted UPVC double glazed front entrance door and window. having wooden flooring, radiator, built-in storage cupboard, under stairs storage cupboard, ceiling light point and doors to further ground floor accommodation. 2.88m (width) x 2.67m (length) (9' 5" x 8' 9") having a range of matching base and wall mounted storage cupboards and drawers with complementary work surface space and tiled splashbacks with inset stainless steel sink and drainer unit with mixer tap. Tiled flooring, radiator and ceiling light point. Location of 'Worcester' combination boiler, frosted UPVC double glazed door to rear garden and UPVC double glazed window to rear aspect. Electric oven and hob with extractor above, plumbing for automatic washing machine and space for fridge freezer. an easy tread staircase rises from the reception hall to the First Floor Landing having airing cupboard, ceiling light point, access to the loft space with pull-down ladder leading to Boarded Loft and doors to further first floor accommodation. 3.32m (10' 11") (maximum length) x 3.38m (minimum width) 3.80m (maximum width) (11' 1" x 12' 6") having UPVC double glazed window to front aspect. Radiator, ceiling light point and fitted wardrobes with sliding doors. 3.40m (minimum width) 3.80m (maximum width) (11' 2" x 12' 6") x 2.80 (9'2") (maximum length) having UPVC double glazed window to rear aspect. Fitted wardrobes with sliding doors, radiator and ceiling light point. 2.57m (width) x 2.26m (length) (8' 5" x 7' 5") having UPVC double glazed window to front aspect. Ceiling light point and radiator. 2.54m x 1.67m (8' 4" x 5' 6") having matching white suite comprising of a panelled bath with 'Triton' shower above, low flush W.C., pedestal wash hand basin. Tiling from floor to ceiling, frosted UPVC double glazed window to rear aspect, chrome heated towel rail and ceiling light point. having up-and-over door in separate block.